Firstly, on behalf of the club I would like to extend our commiserations to the Monaghan senior players and management on their defeat by Tyrone last Saturday at Croke Park. It certainly was a gripping encounter that kept everyone on the edge of their seats but sadly it was not meant to be! Still it was a fantastic achievement on reaching this level and winning the Ulster title along the way, after twenty-five years, was a magical moment for the county and one that shall remain in our memories for a long time. We sincerely thank you all for your efforts during the year and moving forward, I imagine the experience gained this year will only stand to the players and management and we look forward to next year’s campaign with great anticipation. On behalf of the club I would like to once again congratulate the Monaghan minor team and their management for a fantastic win over Tipperary last Bank Holiday Monday. 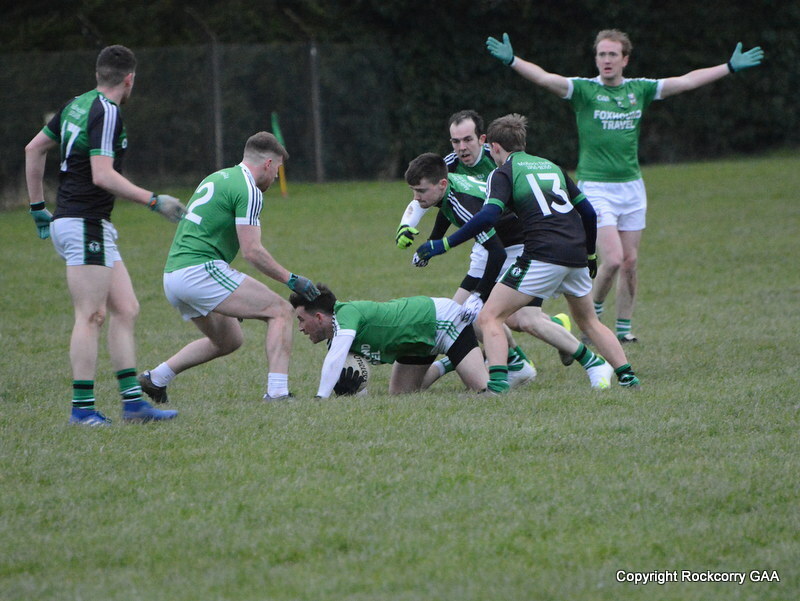 It was a great achievement, a wonderful team performance all round and they have secured a place in the All Ireland semi-final where they will take on the mighty Mayo. Keep the Monaghan flags flying high folks! We are now only two weeks away from teeing off our second golf funding classic which takes place on Saturday 17th August at the beautiful Clones Golf Club. The club is delighted to announce that Aidan & Marie Murray of Mullinahinch House Private Nursing Home have come on board as our main sponsors and we sincerely thank them for their generosity, kindness and support. If you are a golfer, we’d love to see you there and hopefully at this stage you have your foursomes together. To guarantee your preferred tee time please contact Jimmy McGeough 087-9457279, Ollie McQuillan 087-2100800 or Michael Carroll 086-1041165. If you have not already committed to play there is still plenty of time to sign up so grab three friends and don’t miss your chance to be part of this great event. For the non-regular golfers I would recommend to bring plenty of goal balls!!!! 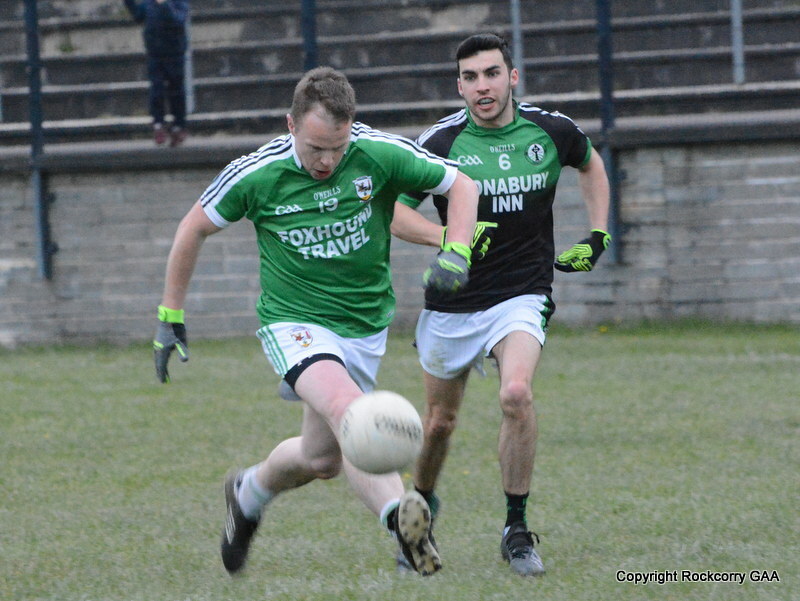 The senior team will return to action in the Drumlin Credit Union Senior Football League this Sunday 11th August when they play Castleblayney at Pairc Naomh Mhuire at 12.30pm. 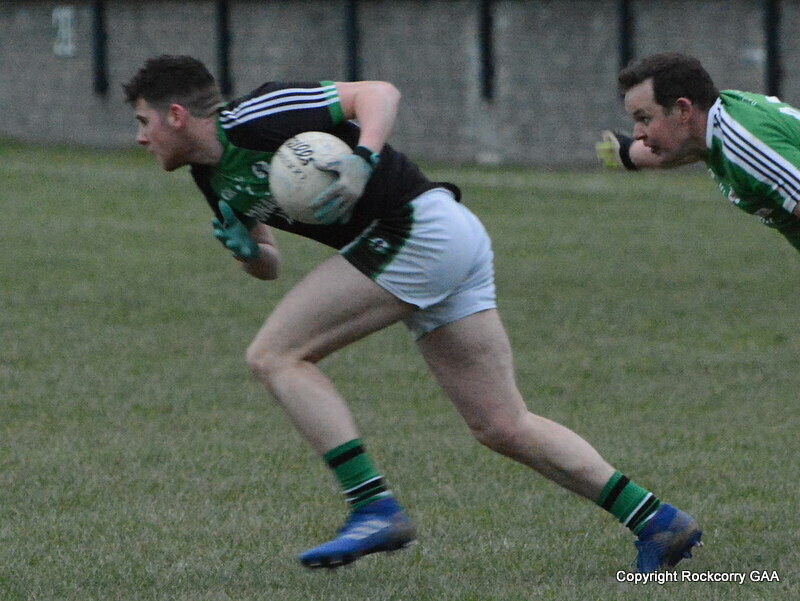 The reserve footballers played Oram in the Platinum Tanks Reserve Football League Division 2B last Friday 2nd August and the visitors secured the spoils on a score-line Rockcorry 2-10 Oram 3-14. This completes the football year for the reserve players and well done to all the lads who worked so hard through-out the year when competing against stronger opposition. We have a small bunch of players at this level and it is nice to be able to say that we fulfilled all fixtures (apart from one match) this year and hopefully we can build on this for next year’s campaign. I would like to thank team managers Gerard O’Brien and Finbar McDermott for being involved with the team. We appreciate your efforts and thanks a lot lads. The under 8 footballers will be back in action this Saturday 10th August when they travel to Oram to take part in a Go Games Blitz campaign starting at 10.00am and finishing at 12 noon. The next blitz for the under 10 team will take place in Oram on Saturday 24th August. Just a reminder, all parents / guardians are asked to meet up at the clubrooms to assist with transporting the children to these games. The under 12 league semi-finals (cup & shield) is fixed for Saturday 17th August. There are a number of play-off matches so our opponents will not be known until they are completed. 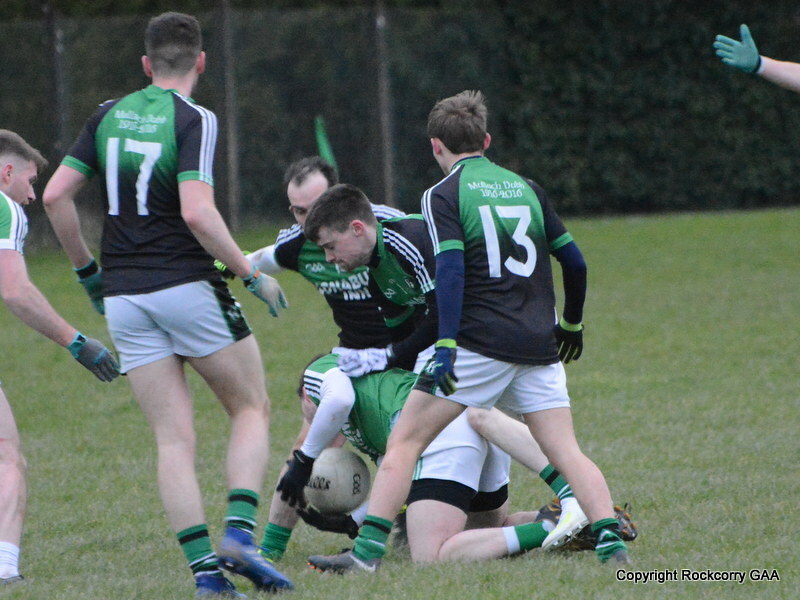 The next game for the under 14 footballers is scheduled for Tuesday 13th August when they host Drumhowan at Pairc Naomh Mhuire. Please check official fixture for throw-in time. 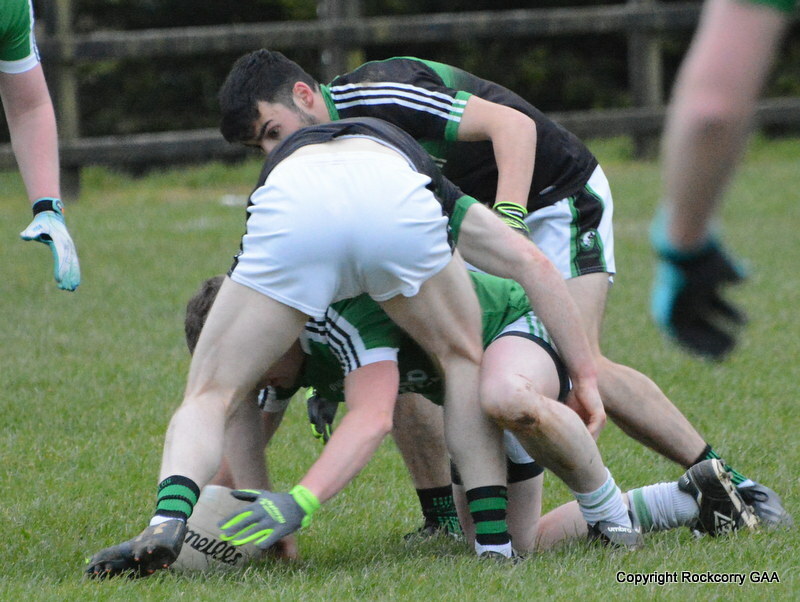 The next game for the under 16 footballers is on Thursday 15th August July when they travel to play Doohamlet. The numbers drawn on Monday 5th August were 13, 15, 17 and 21. There was no jackpot winner of €4,200.00. The following won €15 each :- Seamus Clerkin, Rockcorry (Yearly Ticket), Lauren Woods, Rockcorry, Cillian Carroll, Clontibret, Peadar Fox, Rockcorry, Paddy, Eilish & Cillian Carroll, Clontibret, Barry Patterson, Rockcorry, Maggie Reilly, Rockcorry, Tony McGorman, Aghabog. Next week the jackpot will be €4,300.00 and the draw will take place in the Maple Bar. Thank you for supporting our Top 4 lotto draw.